In this podcast Dr Beryl Williams looks at why the Provisional Government failed to establish liberalism in Russia between February and October 1917 and why it was the Bolsheviks that took power in October. 1. Introduction: What went wrong with democracy? High hopes and a radical democratic programme. 2. War, voting delays and liberal fears of being voted out of office. 3. The collapse of law, order and central control. The sharing of power with the Petrograd Soviet. 4. Coalition, failure to reform, peasants revolt. 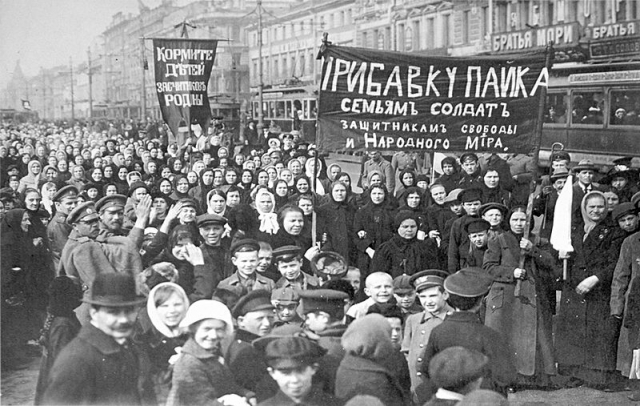 Social revolution and the rise of the Bolsheviks. 5. The return of Lenin, galvanising the power of the street.